Three of the most influential theologians of the 20th century trace their ideas back to Martin Kähler, a German theologian writing at the end of the 19th and into the 20th century. 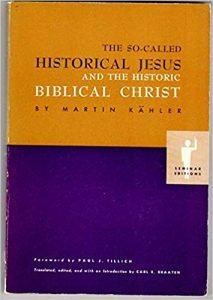 Kähler’s book The So-Called Historical Jesus and the Historical Biblical Christ was one of his most influential works—influencing and bearing similarities to the later theologies of Barth, Bultmann, and Tillich. Kähler’s title is intentionally paradoxical: it puts in opposition what seem at first to be the same thing. Kähler employs a distinction in German between the objective facts of history—historie, the subject of the historical-critical sciences—and the subjective reception or effect historical events have—their interpretation, geschichte. This distinction outlines the main argument of his book, to unmask the failed project of modern historical-critical Christianity and to provide his solution to the problem raised, the Christ of geschichte. Kähler begins with the quest for the historical Jesus, the attempts of the 19th century to present a life-of-Jesus, those demonstrable historical facts of Jesus life that we can be sure of. Kähler critiques both the methodology and the materials of this quest. Methodologically, the quest attempted to get objective access to the historical Christ, to present an unbiased assessment of what really happened. Kähler criticized the assumption that unbiased research in historical science was possible—that we could access the historie. Essentially, the historical tasks is always interpretive and uses interpreted materials, ensuring that it will only ever have access to geschichte, never historie. The Quest was doomed because it demanded historie as the basis of faith but was unable to demonstrate with certainty the facts of the Historical Jesus. This failure was not just methodological, but also a misevaluation of the materials available: the Gospels, writes Kähler, are not attempts at historie. Instead, they are interpretive accounts of Jesus life. They contain errors, contradictions, and do not hide the fact that they look at Jesus through the lens of His glorification—they are theologically interpreting and presenting the events they saw. This may be deadly to the historical-critical task, but it need not destroy Christianity argues Kähler. A better way is needed: Historical critical sciences fail to present a firm foundation for Christian faith, and the conservatives fail to do so as well. We cannot, therefore, go back to dogmatism: conservative theology produces elaborate propositions that are beyond the reach of the average Christian throughout the Church’s history, and it demands exact verification for the facts of Scripture before we can trust it as a foundation for the faith. Both these positions, argues Kähler, are unable to do what the Bible needs to do: they cannot give a foundation for faith, and even if they could, they would only do so for the elites in certain time periods—the dogmaticians of the developing church or the historical-scientists of modernism. Kahler’s answer to the question of the nature of Scripture, how it grounds the Christian faith and is available to all, is that it paints a picture, a picture of Christ. We affirm that the Bible is authoritative because we see Christ through it: this affirmation is a result of the seeing and believing in Christ. Christ, then, is the foundation for Biblical authority. The whole Bible is necessary to convey the picture we need, yet this picture does not depend on the inerrancy of the Biblical details: the Bible errs, but this does not prevent it from infallibly presenting a picture of the historic (geschichte) Christ that is the object of our faith. 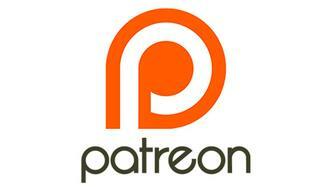 The argument Kähler presents is addressing several key philosophical/theological issues of his day and of ours today. The primary problem of the book is the nature of the Bible and its relation to faith. Philosophically, the question asks whether the Bible is able to provide the appropriate grounds for an objective historical reconstruction of the life of Jesus. Theologically, the problem is the relationship between the words of the Bible and faith: does faith depend on the impression the words make, the history they communicate, or the exact details they express? To the philosophical question, Kahler responds with a resounding NO! The Bible is unable to provide a historical reconstruction of Jesus’ life—but it doesn’t need to. He argues that this is not the ground of Christian faith. His criticism of the methodology of the historical critical sciences is convincing, but that the Bible contains errors is not so much. The problem, as I see it, is that Kähler never abandons the epistemological presuppositions of the historical-sciences, namely, that which is demonstrable is that which human reason can verify. He accepts the consensus on the confused and erring nature of Scripture because he never repudiates the presupposition that man is the ultimate standard of truth. Theologically, neither orthodoxy or historical-criticism provides a universal foundation for Christian faith: they can only hope to provide a foundation for the scholars in their own camps. Yet even here, they fail: their results are ultimately the products of human imagination. Kähler’s answer is to ground the Christian faith in the picture of Christ discovered by reading the whole of Scripture: the testimony of the apostolic proclamation that we receive through Scripture, independent of the details that convey it—not dependent on their historical veracity. If Kähler is correct, he is able to retain the autonomy of human reason—there are errors in Scripture discerned by reason—and provide a universal foundation for Christian faith. However, I am not convinced that Kähler succeeds. I think his argument is historical disingenuous, ignores the Bible’s own testimony, and is rationally weak. Historically, he identifies the emergence of ‘conservative’ views of Scripture with Protestant orthodoxy—a recent invention. This view has re-emerged in our day through the work of Rogers and McKim, who argue almost the same thesis as Kähler, and has been shown to be utterly false. John Woodbridge, D.A. Carson, and various others have laboured to show that throughout Church history, the authority of Scripture has been linked to God’s authority expressed through its very words. Furthermore, the Bible never makes the point Kahler makes: it never separates its purpose from its words, its truthfulness from the propositions it contains. The Bible’s resounding testimony is of its verbal inspiration: it claims to bear God’s own authority and truthful character. Paul affirms that all Scripture is spoken by God, and it is this spoken Scripture that suffices for every good work. It is not the picture of all Scripture taken as a whole, but it is the whole of Scripture in all its details that is useful for teaching, reproving and rebuking so that the man of God might be equipped for every good work. Jesus says a similar thing when he declares that not a jot or tittle—not the smallest letter in the Hebrew alphabet—will fail until Scripture is fulfilled. The OT goes a step further when it identifies the words of men frequently with the very words of YHWH. Peter is confident that no prophecy of Scripture is from men alone but comes forth as the Spirit leads them. All these Scriptures testify to God’s involvement in the details of Scripture, not just the impression of the whole. This is affirmed by the use in the NT of OT quotes, arguing lofty points from the exact details—even verbal tense—of the texts. Finally, I am not rationally satisfied with his answer: how can we receive an accurate impression of who Jesus is apart from the details of the text? If the text is wrong, then my picture of Jesus could be drastically wrong. Paul says that faith is based on belief in the resurrection of Christ and the confession of His Lordship: these claims are based on historical statements and general statements of truth—Christ is alive, Christ is the Lord, Christ is the LORD, Jesus of Nazareth is the Christ, Jesus died and rose again on the third day, etc. I am not convinced that inaccurate statements can provide a picture of Jesus sufficient to ground my faith: when I think of Jesus, in whom I believe for salvation, I don’t think of abstract ideas but specific statements about Him that I have read in Scripture. I think that Kähler’s thesis is unconvincing in major ways, but the questions he is asking are profoundly important nonetheless. How can a person in Africa or China today, a North American scholar, or a Greek Christian 1500 years ago read Scripture or hear it preached and have a sufficient foundation for their faith? This is challenge that Evangelicals today have not done a good enough job answering. I am convinced that the answer does not begin with the presupposition of human autonomy—where Kähler starts—but with the acknowledgment of the ultimate authority of God. If God is our authority and the Scriptures are His very words, then there is no source sufficient to declare them false: we don’t need to verify every detail externally, they are verified on account of the one who spoke them. This is not to retreat into a sort of fideism that cocoons itself and ignores the challenges of modern thought, but to tackle these challenges from an appropriately Christian posture of submission to God as He has spoken through Scripture. Cornelius Van Til and John Frame have provided a strong defense of this approach, the latter’s The Doctrine of the Word of God and The Doctrine of the Knowledge of God providing a much more satisfying answer to the challenges of modernism than Kähler.